There is nothing like the feeling you get from overwhelming horsepower. Downshift, stomp, go. It’s a visceral sensation knowing that, at a moment’s notice, there are hundreds of horses ready to dance to the tune your right foot plays. Pursuit of this emotion is all that matters to some, living only to chase the horizon. 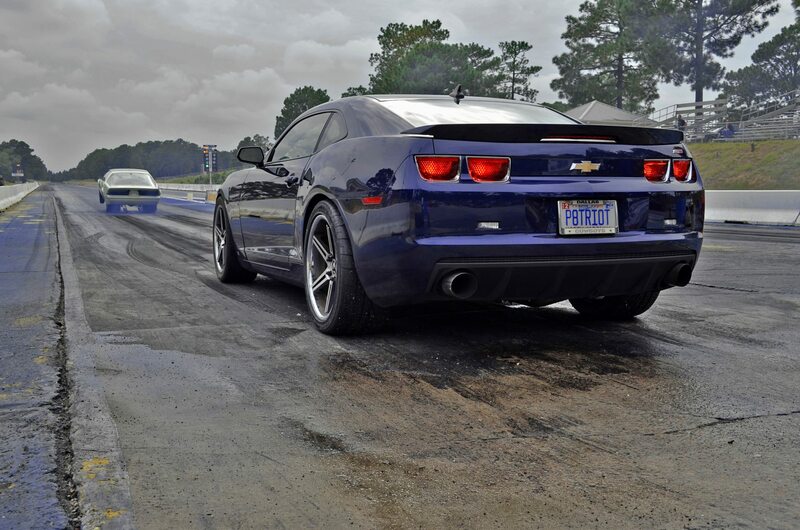 When looking at the (current) final form of Stu Lankford’s 2010 Chevrolet Camaro SS – endearingly named P8TRIOT – it becomes obvious that he is among that group. As a lifelong GM fan, though this being his first Camaro, Stu fell in love with the platform. “I was just blown away at how well the car handled” Stu quipped. Truth be told, it’s no small wonder. After a seven-year absence from the market, the 5th generation Camaro returned in 2009 to near-universal acclaim. A quality build, competitive pricing, wide range of trim and engine packages, and sharp looks that harken back to the car’s origins have translated into brisk sales throughout the model’s lifetime. Thankfully, the popularity of the platform has also given way to plenty of aftermarket support. Stu’s main demand for P8TRIOT was for it to be a true all-around street beast. 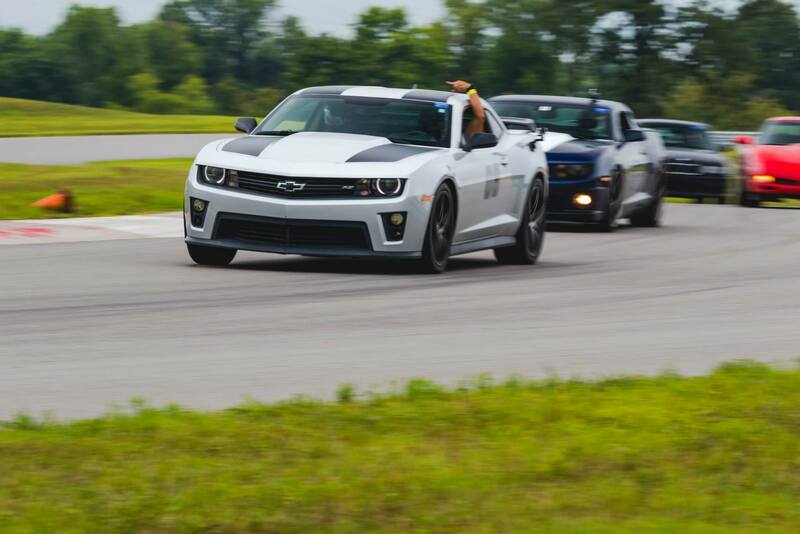 “I want to make sure that I can drive to an event, race the event, and drive home.” Stu said – be it drag strip, half mile, auto cross, or road course. Under our Founder, Jordan Watson’s, “overbuild” became the name of the game – and this philosophy was applied to every iteration of P8TRIOT from 2010 forward! A Magnuson TVS2300 supercharger provides 16psi of boost while the TPiS 120mm throttle body manages the intake. A completely reworked and E85 capable fuel delivery system was complimented with 85lb/hr injectors. Spinning a bearing at a ½ mile drag event afforded the opportunity to rebuild the bottom end. “We went big this time and used forged everything.” Stu boasted, “Bulletproof crank, bulletproof pistons, rods… The whole 9 yards.” A RPS carbon triple disc clutch handles the power transfer to a RPM Level VI manual transmission and a 9′ GForce 1320 rear end gets everything to the pavement. To make sure the corners stay planted while road coursing, springs, tie rods, lower control arms, sub frame connectors, and sway bars were upgraded. Stopping power was also increased with 15′ brake rotors, Carbotech pads, and a set of Cadillac CTS-V 6 piston calipers. All this work was meant for one thing – Horsepower! And after a date with our in-house calibration specialist, Vlad, horsepower is something that P8TRIOT has in abundance. On pump gas P8TRIOT puts down a monstrous 790 horsepower, however, on E60, that figure kicks up to 825 horsepower.